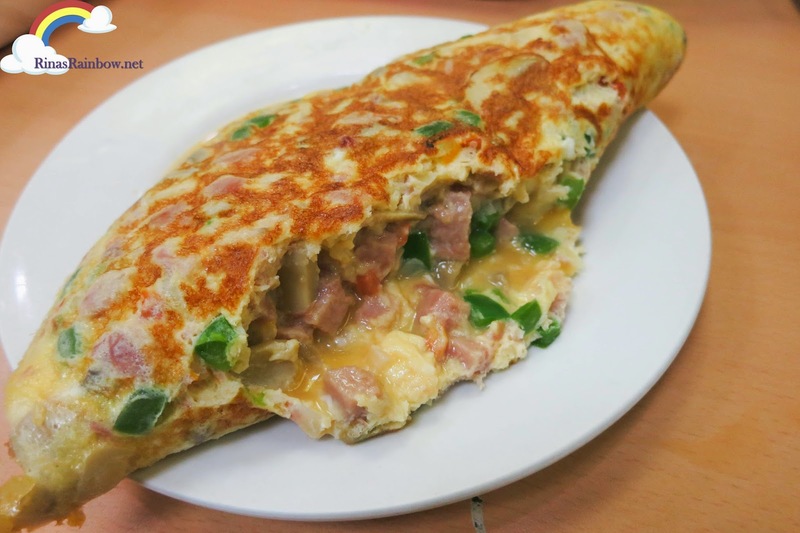 So here's a quick and easy recipe you can follow to make a simple yet tasty omelette for your family! First, beat the eggs thoroughly then set aside. The once the garlic's good aroma starts to fill the room, (and before the garlic burns), you can start adding the other ingredients (except the cheese). Using the same pan, pour the eggs and don't stop stirring and scooping the eggs with a spatula. Once the eggs are around 70% cooked, let it settle so it starts forming. 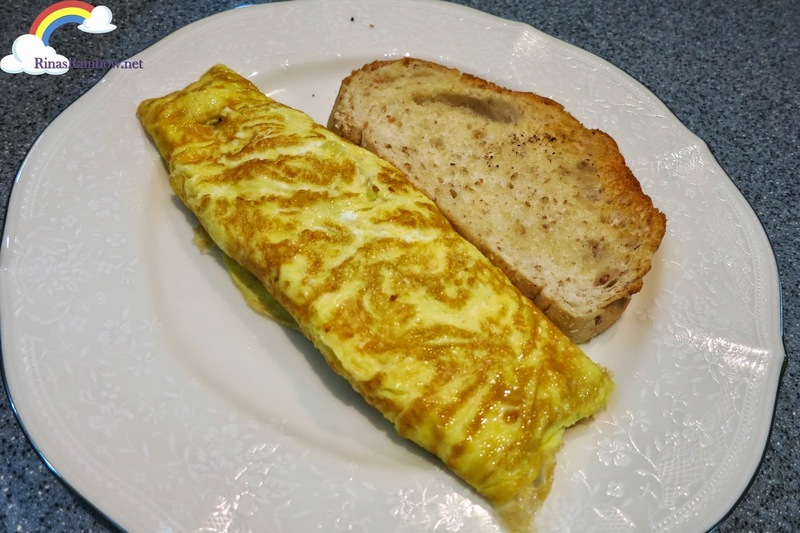 For an American omelette, sprinkle grated cheese on one side of the egg (right side if you're right handed. Left side if you're a leftie) The reason being is that the weight of the egg has to be heavier from where you will be flipping it close. And then pour the sauteed stuff on top of the grated cheese. Tricky part! 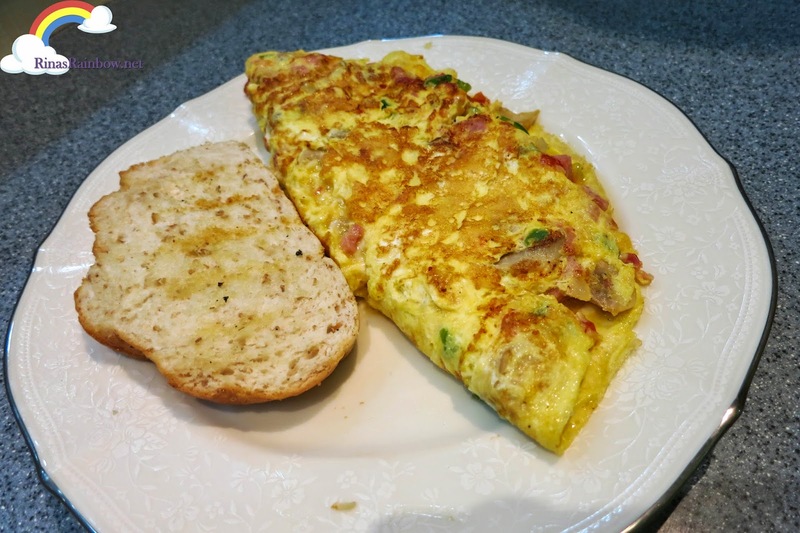 : Lift the pan with your one hand (right if you're right handed, left if your left handed), and hold the plate on your other hand, and start sliding it the omelette onto the plate but only halfway. 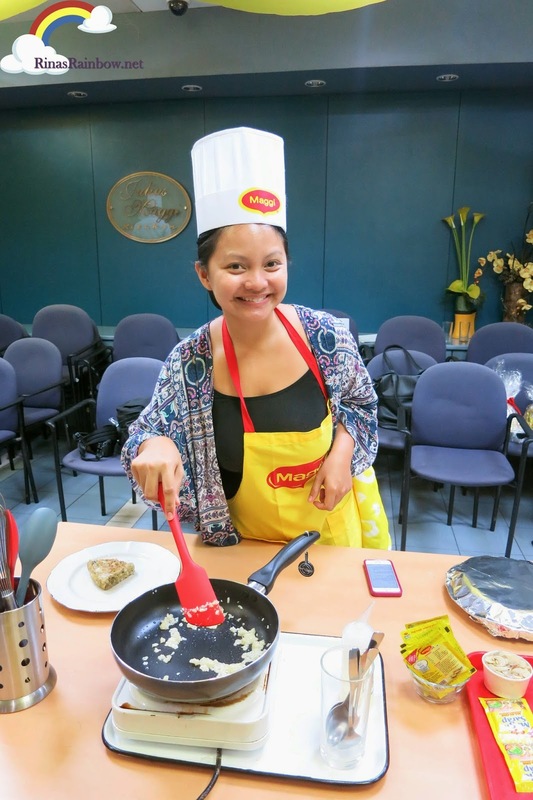 Once the egg is halfway on the plate, make a quick flip movement with the pan to close it. 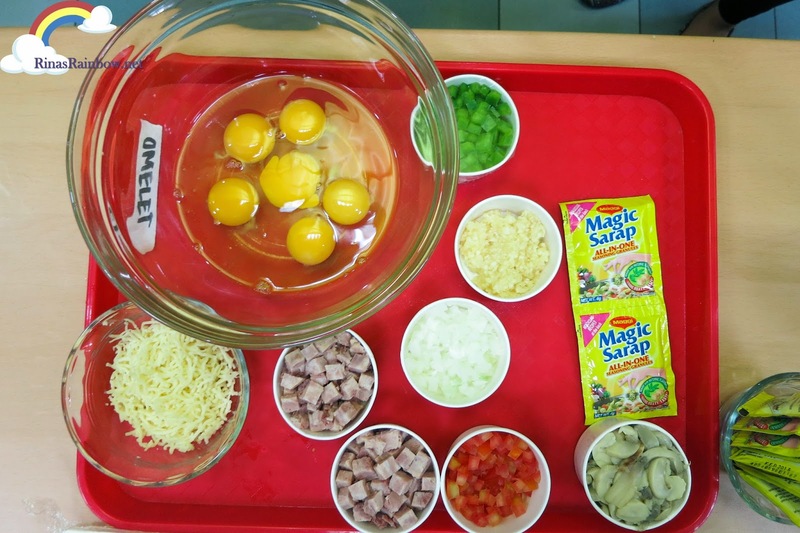 For French omelette, same procedure with the cooking. But this time, place the stuffing in the middle part of the egg in a vertical line (like drawing a vertical line in the middle of the egg using the sauteed stuffing). Again, slide the egg a bit more than halfway, and then flip. And then just use your spatula to flip the other side over. 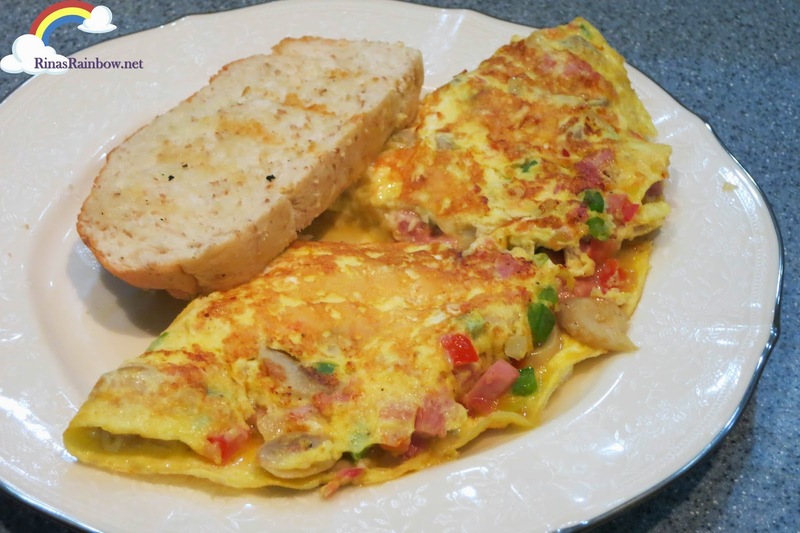 I'm ashamed to show you my version of American omelette. Because I mistakenly added too much stuffing. I guess I thought I was still making a fritata hahaha! So the folded part gave, with the filling oozing out. But is it okay that I still think it looks delicious? Moist and chunky on the inside! Maybe I should call it omelette ala Rina! Anyway this is my final egg recipe that I learned from the MAGGI Cook Dali seminar! 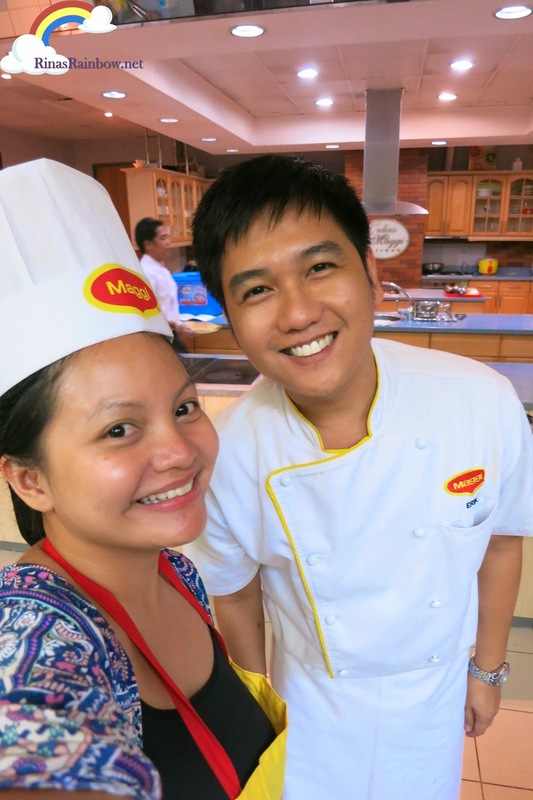 Thanks Chef Eric Magtanong for imparting your wisdom with us! I sure had fun! 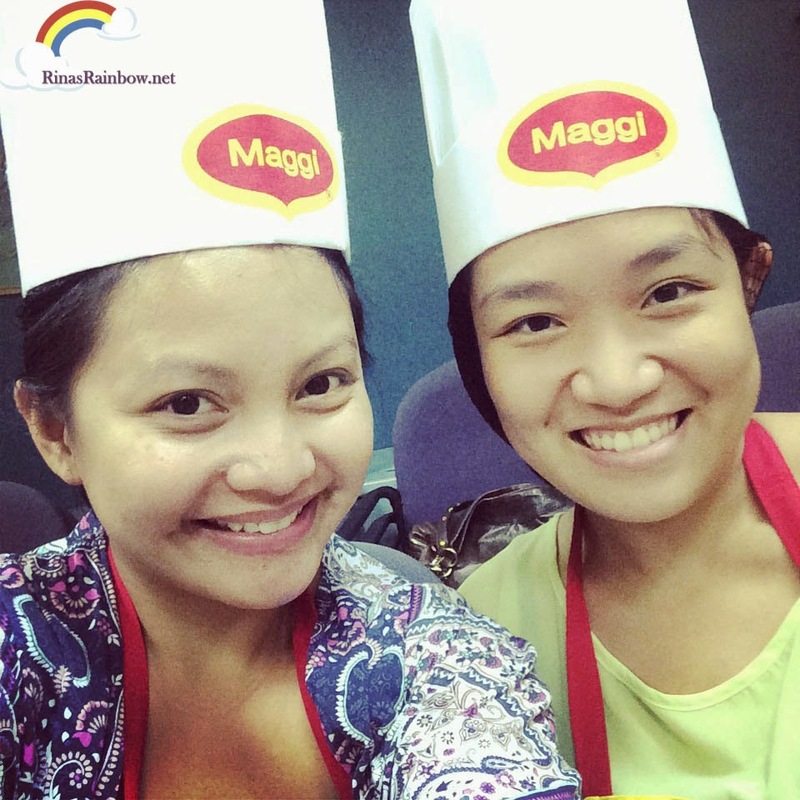 And THANK YOU of course to MAGGI for holding this seminar and for having us! 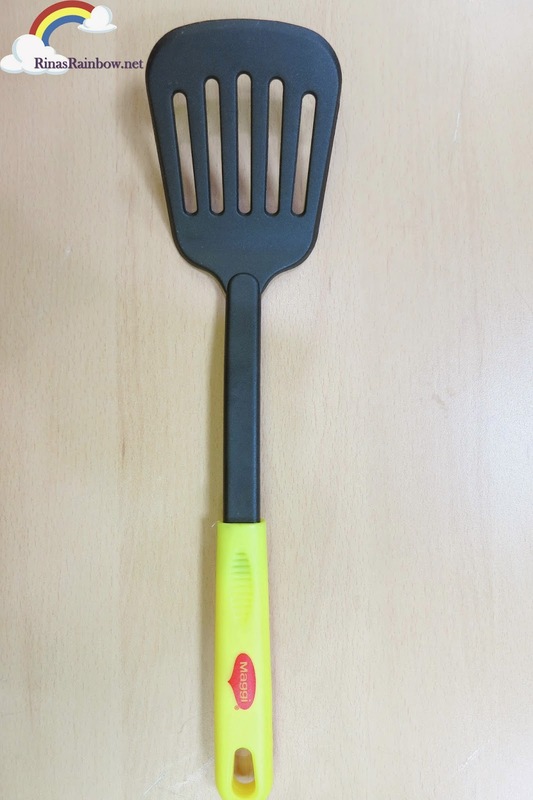 And for this cool MAGGI spatula! 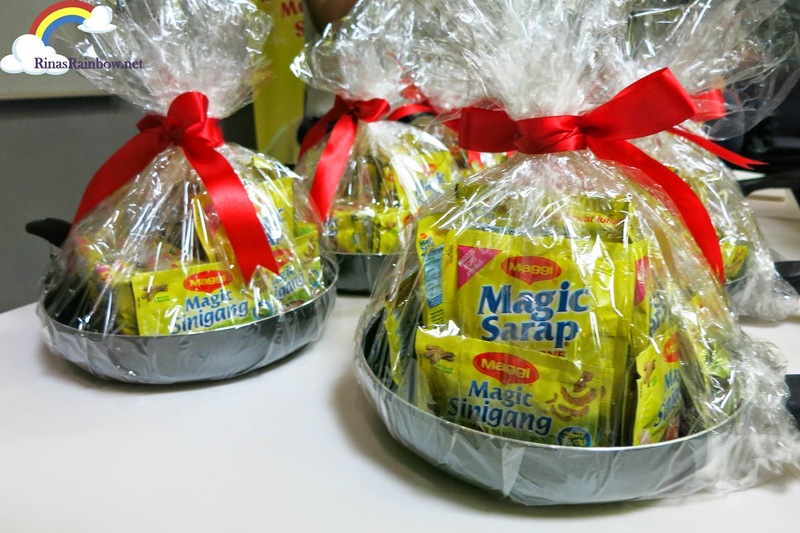 And my new teflon pan and a stash of MAGGI Magic Sarap! Because of you our eggs will never be the same! Wish me luck in my future cooking adventures!